Recently, I saw a beautiful fabric at the store. It was dark blue with light blue circles. I had some shelves that I found in our alley and didn't know what to do with them. I decided to recreate that pattern on the shelves. It was a pretty simple project. 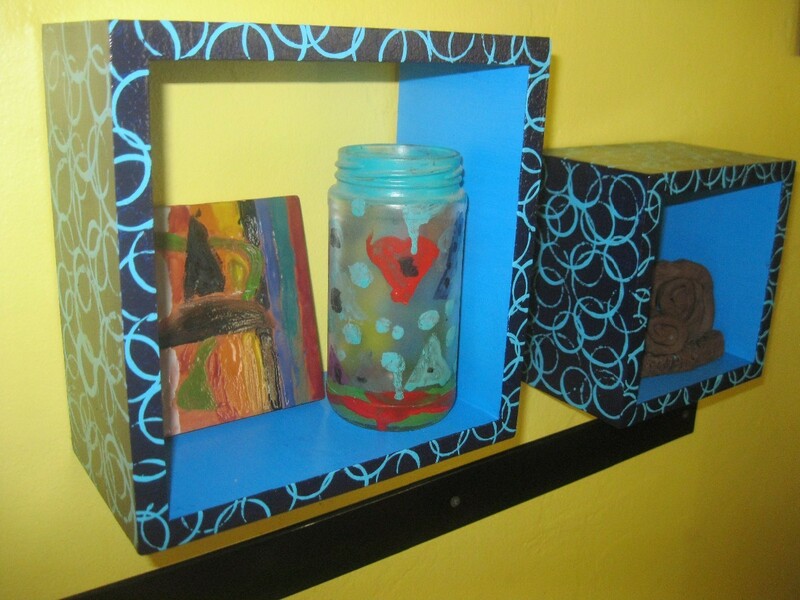 I love painting things that would normally be thrown away and making them nice again. You could use this pattern on tables, dressers, frames, etc. It's an inexpensive way to add a little pizzazz to your furnishings! Total Time: A couple of hours, depending on size of project. Sand your shelf (or whatever you are painting). This is important, to make sure the paint adheres. Wipe off all the dust. Prime your shelf. 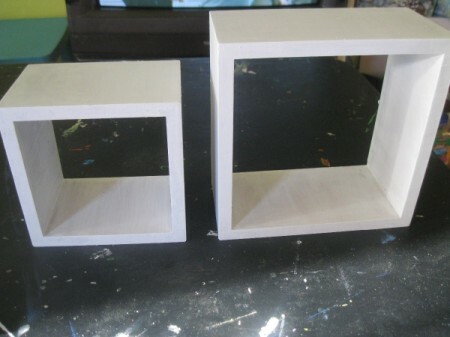 You could use spray paint or primer you paint on. I painted about 3 coats. Let primer dry between coats. 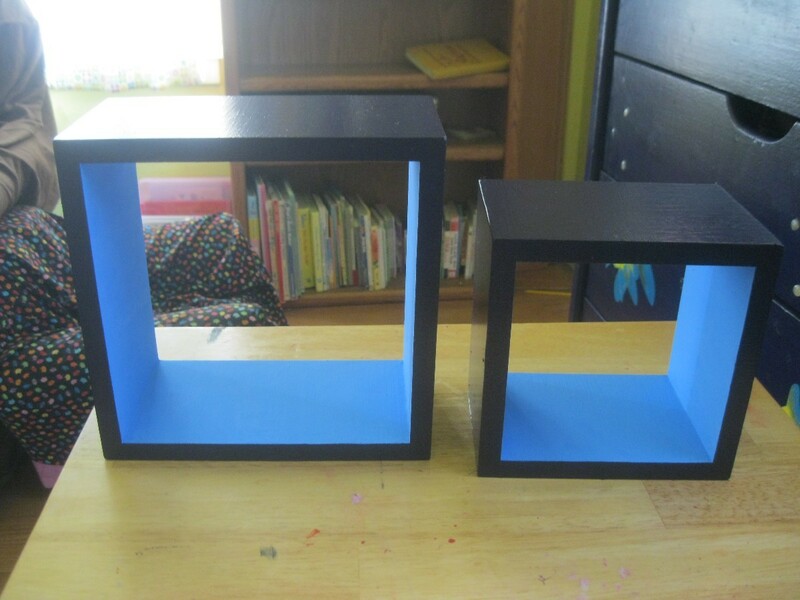 Paint your shelf, any color you would like. I used a dark blue for the outside. It is a custom color. 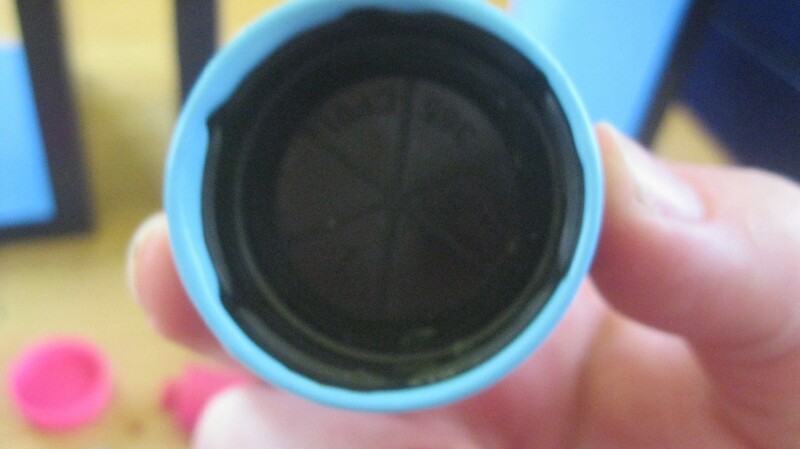 The inside and circles were made using Craft Smart Paint. The inside is "Neon Blue". 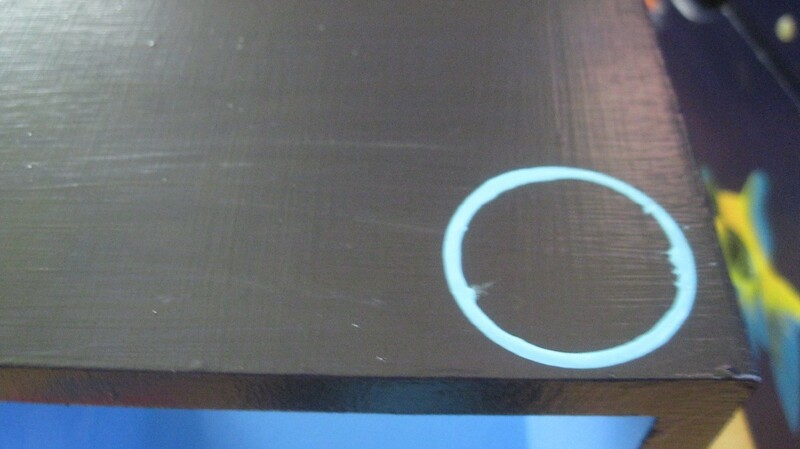 The circles are "Pool Blue". 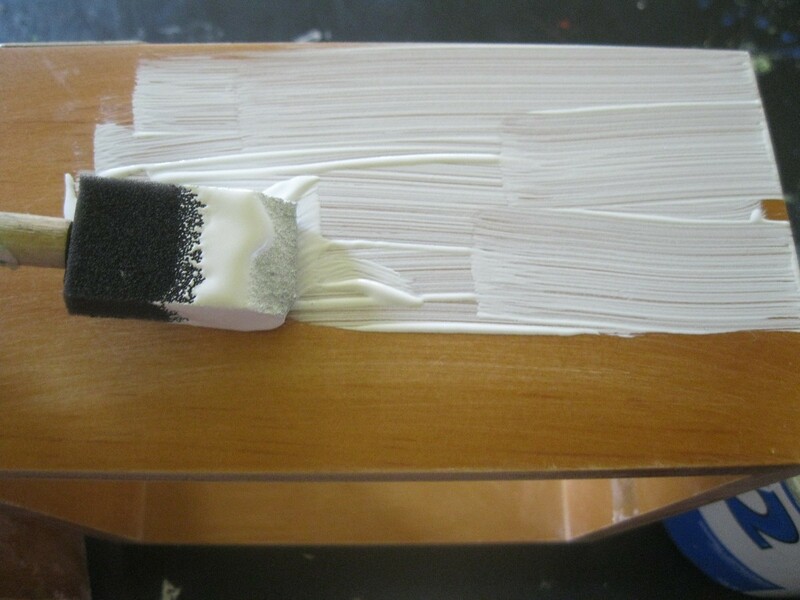 Make sure that you let the paint dry between coats. 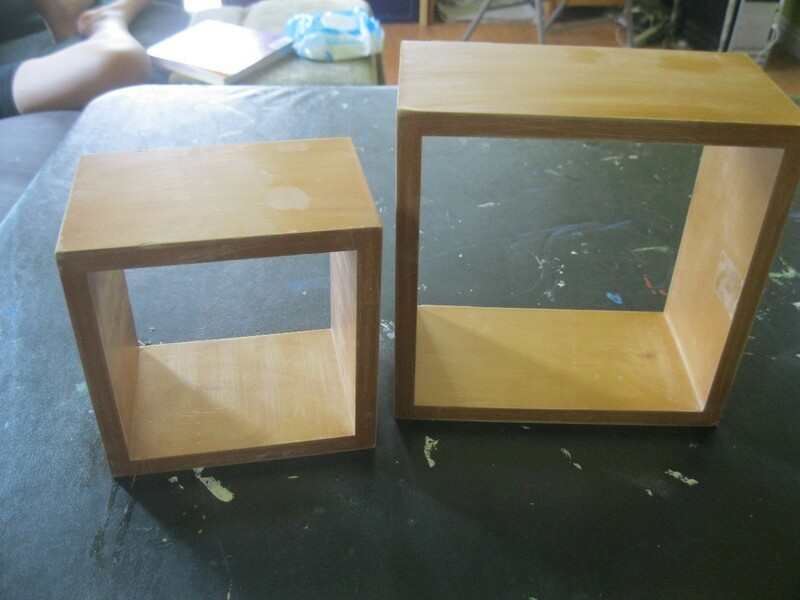 I, also, painted 3 coats of the color. Once dry, it's time to add the circles. Find some old bottle caps, marker caps, paint caps, etc. in whatever size you like. 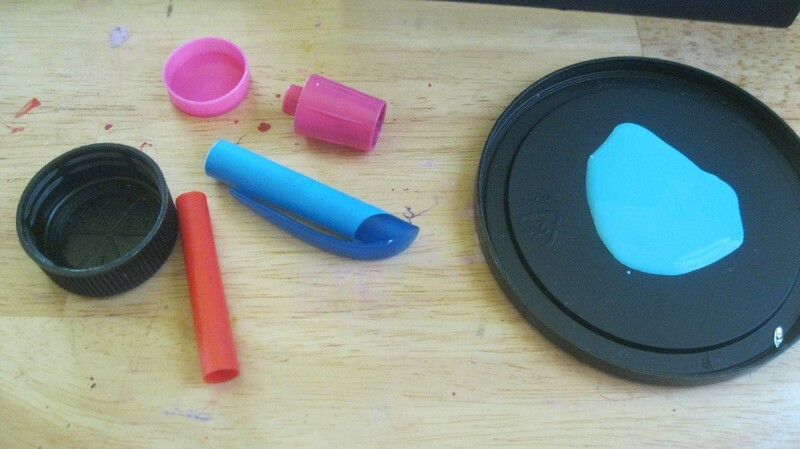 Dip the cap in a shallow amount of paint. Make sure that there's not too much. 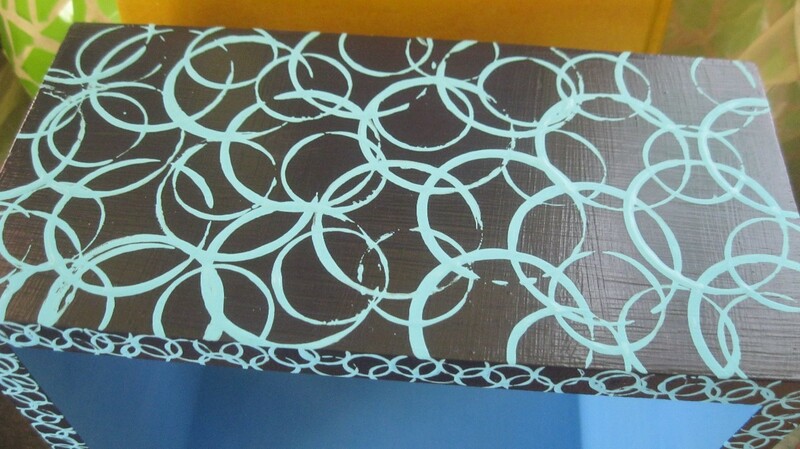 In a random pattern, add your circles. My 5 year old helped and had lots of fun applying the circles. We used 2 different sizes of caps. Once dry, you can add a sealer, if you would like. I did, because if the paint chips, the pattern would make it a little hard to do touch-ups. I used Krylon Crystal Clear Acrylic Coating. Again, I did 3 coats! 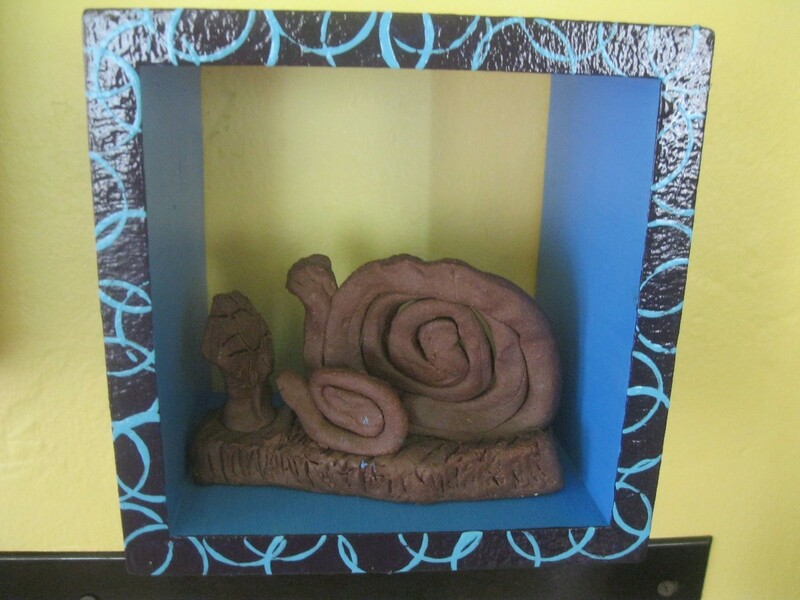 I was so happy to have a few extra shelves to display my kids' craft projects!